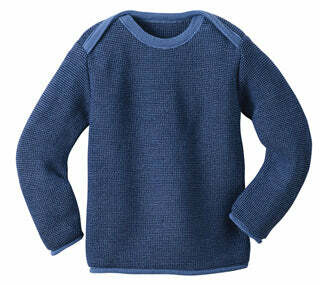 Disana Melange Merino Wool Pullover Sweater. Made in Germany. Don't size up in Disana items. They run big. 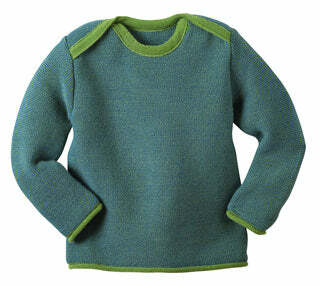 Gorgeous unisex pullover sweater made of soft merino wool. Disana calls it a jumper, but in the USA we call it a pullover sweater. 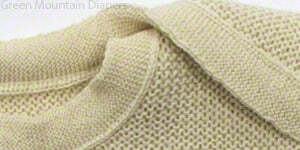 As with all Disana wools, they are made of 100% organic merino wool. They are soft and not scratchy like commercial wool. Wool is soothing to babies and they love it. It does not need to be washed often. Just wear it again and again and simply air it out between uses. 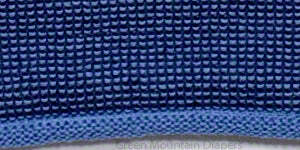 When it is time to wash it, please wash by hand in a proper wool wash to keep it soft and in shape. Made in Germany. The curry color is more golden and not yellow. What does "melange" mean? It means mixture. In this case it means a mixture of colors. 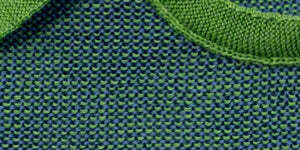 See the melange wool knit closeup. Coordinates with Disana Blankets, leggings and booties. I'm so happy with this lovely sweater. My 14 month old is on the small side and I got the largest size. It fits great with sleeves rolled now and I expect it will probably still fit a year from now. I've dramatically cut down on the amount of laundry I do by dressing my baby in a pair of wool pants and this sweater almost every day- it doesn't get dirty! Disana please make for adults! I wish my camera was not broken, because I would post lovely pictures of my children wearing these various colors and sizes of Disana sweaters. I absolutely adore Disana products. Every one is gorgeous! They hardly ever get dirty, the rich color doesn't fade, they smell great (if you like the smell of wool), are soft and never itchy! 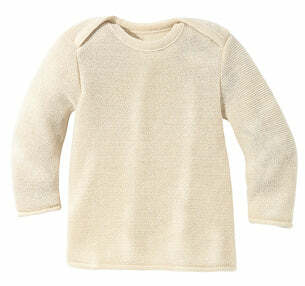 The only thing that seems to ruffle this Disana sweater was my child's old carseat, which we have replaced. I would not purchase this item if you do not wish to hand wash this item occasionally, it is not meant to wash daily. We use them for times we know baby isn't going to be digging in dirt, eating a messy treat all by herself, etc. We have used them for visiting family, going to special occasions, and around the house and on walks when baby is not getting into messy situations. I will be having child #6 in the late fall, and will be purchasing some of these sweaters. A new infant who hardly does anything will be a joy to cuddle in the soft wool, and they will keep it pristine!